Running a transport or a taxi fleet business requires an intelligent solution. Having powerful dispatch software and a web-based admin panel works as a backbone for having a full operational control on the business. 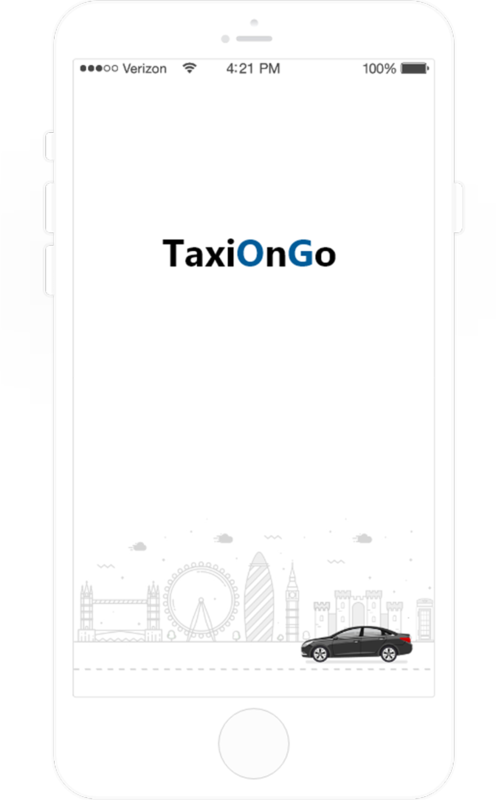 TaxiOnGo brings to you an improvised and advanced taxi app development solution that will help reduce the service time to customers and proffer you a solid digital platform equipped with high-end features poised to build and grow your business in the longer run. Re-skin the product with your brand logo and name. Built for iOS and Android platforms. Pay for functionalities that you need. Handle thousands of users and permit scalability during sudden surge. How Taxiongo is superlative than other taxi apps? Taxiongo can be configured with countless multiple languages; you just need to tell us what will be your preferred language. Leave rest up to us. Allow your customers to transact in their own currencies, because taxiongo supports diverse currencies, you can easily get configured it to the one which you need. There may be reasons when smart phone/internet is unavailable this way users can book cabs via phone call and Admin can manually dispatch taxi for users to their pickup location. Alert your customers via email for all the ongoing proceedings that happens right from the taxi booking to ride completion. Easily sign up or register via email, social accounts like Facebook or twitter. Enter your pickup location and drop-off location, select the cab type and request a ride. TaxiOnGo will display an estimated time of arrival for the driver-partner heading to your pick-up location. Also, it will notify when the driver is about to arrive. Receive automatically calculated fare charged for your ride. Select the option to pay your fare. Immediately after a trip ends, TaxiOnGo will ask you to rate your driver from 1 to 5 Stars and give your feedback for the kind of ride you've experienced. Customers can book cabs on a go any time. Automatic invoice generation including the taxes, other charges etc. Give feedback to the driver, rate and review ride. Customer can get the e-receipts post payment. Customer can Pre-book rides or schedule their bookings. Customers can get alerts via SMS. Customers can constantly track their "ON Trip"? rides via GPS. Pay using credit or debit card, online payments, or by cash. Rider can view all their ongoing, future & completed trips in one place. Customers can track the cabs/ drivers real-time location. Customers can cancel a trip at any time before or after matched with any driver. The driver can send the sign up request through his mobile no. The driver uploads his id-proof and vehicle details to submit a sign-up request. Drivers can switch to any preferred language. Drivers get notification about new booking requests, messages etc. The driver can check the route to the destination though the GPS in app. Drivers will get SMS alerts for the ride completion, invoice clearance etc. Drivers can check earnings of current day/month. Customers can constantly track their “ON Trip�? rides via GPS. Drivers can set their status as online/offline. Driver can book on behalf of customers if they’re not having the app or for any other reason. Drivers will receive email alerts that will show their earnings on ride completed. Drivers will receive automated e-receipts after ride completion. ok ? Admin can manage all his fleet through Admin dashboard panel. The admin can keep a tab on individual car of his fleet like their ongoing trips, location etc. The GPS tracking system ensures admin have full control over his fleet, every driver is traceable. Admin can accept the payment in any form that is credit/debit card, wallet or other. Admin can view the details of all the customers & take necessary actions. Admin can track daily reports & transactions. Admin can view the bills and invoices and send across via emails. Admin can add new drivers, manage and chat with existing drivers, view their details etc. Admin can set the rates per km/mile and update the invoice generated as per that. Riders can receive fare estimate before the ride begins. Admin can set the commission rates, modify it anytime. Does taxiongo registers all the requirements for your taxi app business?